Psychoacoustic optimizations like the staggered make the NF-P12 surprisingly quiet. Hinsichtlich seines Geräuschbildes hebt sich der verbaute NF-P12 durchaus von seinen günstigeren Kontrahenten ab. Bei maximalen 1300 U/min sind leichte Luftumschlagsgeräusche zu vernehmen, die subjektiv etwas weicher ausfallen. Ab 7 Volt abwärts gibt der unorthodox gefärbte Ventilator absolut keinen Mucks mehr von sich. Entscheidend dabei: Nervige Nebengeräusche wie Rotorschleifen, -Rasseln oder -Klackern, wie wir sie häufig beobachten müssen, scheinen dem NF-P12 vollkommen fremd. It beat out all of the other fans we put it up against even though the gap narrowed a bit in the last water cooling test. This shows that the high degree of engineering put into this product was not just window dressing since it performs exactly as Noctua promises and then some. Whether it was cooling a Thermalright heatsink or a Black Ice radiator, the NF-P12 proved that it was the best choice for applications which call for a high amount of static pressure. Without a doubt, every part of Noctua’s fan is top notch in terms of build quality and performance. I also like the fact that all of the mounting hardware is included and as well as two prepackaged adaptors for lowering the rotational speed of the fan. 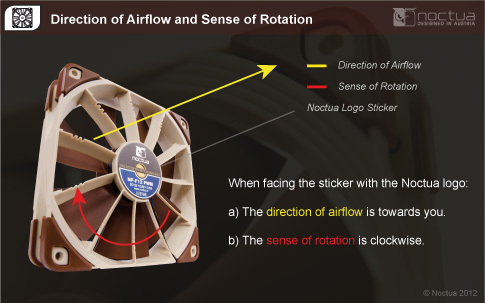 What really surprised me was the distinct lack of noise produced by this Noctua fan. I was prepared for a moderate increase in noise over the NF-S12 fans I was using on my case but lo and behold, the NF-P12 equaled the quiet performance of Noctua’s older fans. To have this kind of performance with the lack of blade or motor noise is a dream come true for people who demand the quietest PC possible. 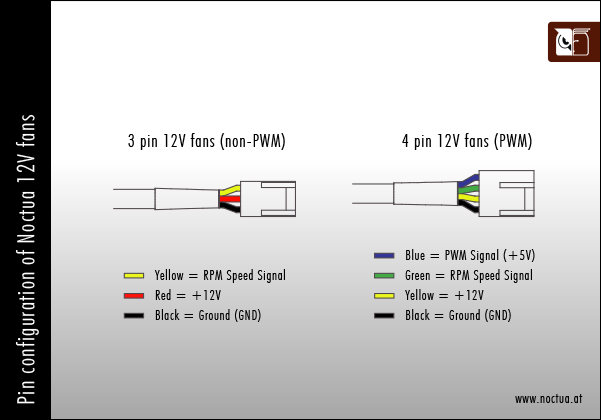 In many cases, an enthusiast will buy a fan speed controller or build their own resistors into a fan’s wiring in order to lower the amount of noise produced by a fan. 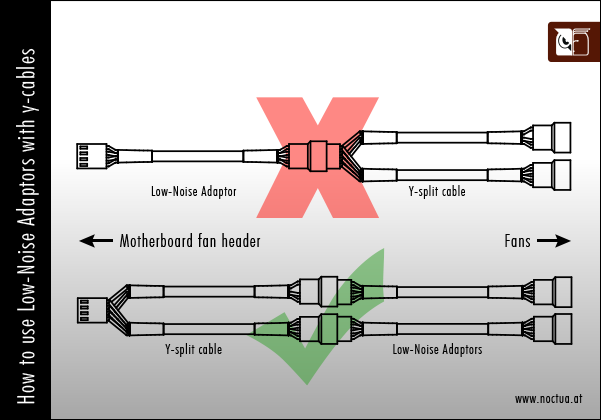 With the NF-P12 that is no longer necessary since not only does it offer near-silent operation but Noctua has also included two fan speed adaptors to lower RPMs for even less noise. Utilising both the NF-S12 and NF-P12 120mm fans on the radiator for our cooling tests yielded some interesting results. I have included some Scythe S-FLEX results in the chart to help make a comparison. The NF-S12 800 gets left behind at 7v, but the NF-P12 performs better than the Scythe S-FLEX's thanks to its increased static pressure. The NF-P12 certainly has the goods and it performs well whilst being almost totally quiet. Excellent effort Noctua! The first thing you'll notice with the Noctua NF-P12 fan is the lack of noise at all rpm levels. The next thing you'll see in the testing results is that the Noctua fan performs better than the other fans while running at a lower fan speed. Obviously the design of the Noctua is excellent, allowing better performance at a lower fan speed while maintaining virtually no noise. Essentially what we are seeing here is that the Noctua NF-P12 is more efficient at moving air than the other fans tested, something that is very desirable with any type of fan. As decibelmeters don't tell everything I also did some more subjective noise tests. I listened to the noise of both fans to judge which one makes the least noise but this wasn't an easy task as both fans are very quiet. At a distance of more than a meter you practically won't be able to hear them unless your room is very quiet. The noise production of both fans seems to be about even but I have to admit that the psychoacoustic optimizations seem to work as when I put the fans right next to my ear I found the noise produced by the NF-P12 a bit more pleasant. It's incredible the volume that this fan produces and equally incredible when you see not only the airflow figures but the static pressures. 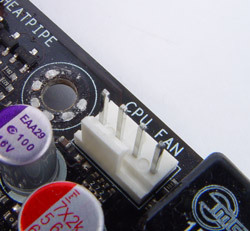 It obvious that this fan has been designed for watercooling setups where static pressure plays a large role. Noctua NF-P12 Bot die mit beste Leistung im Test, knapp vor seinem Markengefährten S12B und dem Cougar, aber hinter den drehzahlstärkeren Aerocool und Silverstone. 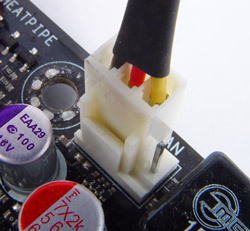 Alle drei waren trotz deutlich geringerer Drehzahl aber minimal besser als der Enermax PWM. Nahezu unhörbar, frei von Nebengeräuschen, selbst der Luftumschlag auf dem Megahalems war kaum wahrnehmbar. The Noctua NF-P12 comes with plenty of accessories for installation/setup and if you watched the video without skipping, in the tests it was fantastic and absolutely silent on both of the lower speed settings (using both low noise adaptors), even when they are running at full speed you’d expect the noise level to rise but the noise level was not very high compared to other various fans I have used. I used five of the Noctua NF-P12 in the BitFenix Shinobi Window chassis and they noise level is just pleasant to my ears, silent indeed.